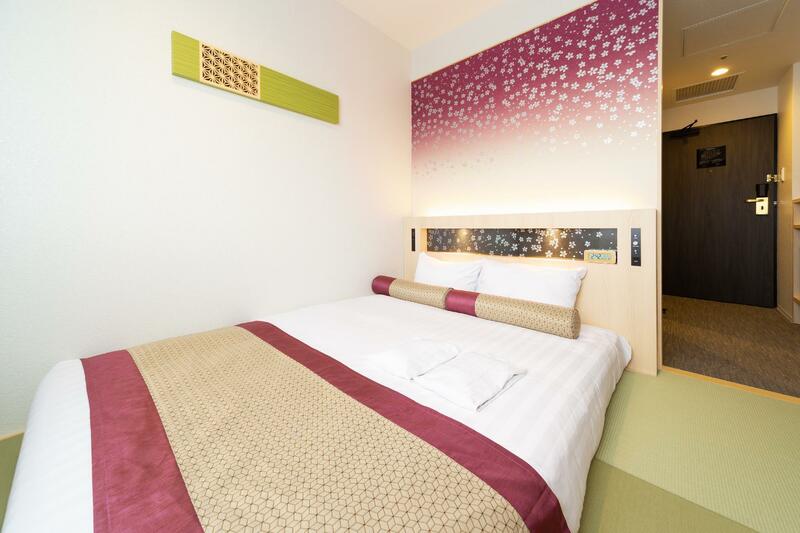 Ada pertanyaan untuk Hotel Wing International Premium Tokyo-Yotsuya? Terletak strategis di Shinjuku, Hotel Wing International Premium Tokyo-Yotsuya adalah tempat ideal untuk memulai menjelajahi Tokyo. Dengan lokasinya yang hanya 0.7 km dari pusat kota dan 65 km dari bandara, hotel bintang 3.5 ini menarik perhatian banyak wisatawan setiap tahun. Dengan lokasinya yang strategis, hotel ini menawarkan akses mudah ke destinasi yang wajib dikunjungi di kota ini. 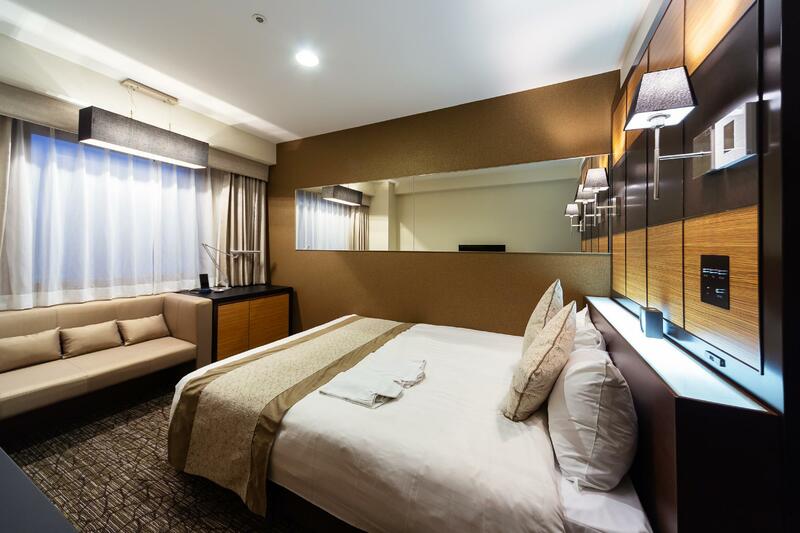 Hotel Wing International terkenal akan pelayanannya yang berkualitas dan staf yang ramah, dan Hotel Wing International Premium Tokyo-Yotsuya memenuhi ekspektasi tersebut. Hotel ini menawarkan sejumlah fasilitas di tempat untuk memuaskan segala jenis tamu. Nikmati fasilitas kamar berkualitas tinggi selama Anda menginap di sini. Beberapa kamar memiliki televisi layar datar, akses internet - WiFi, akses internet WiFi (gratis), kamar bebas asap rokok, AC, yang disediakan untuk membantu Anda mengumpulkan tenaga kembali setelah lelah beraktivitas. Hotel ini menyediakan sejumlah fasilitas rekreasi seperti jalur pendakian, taman bermain. 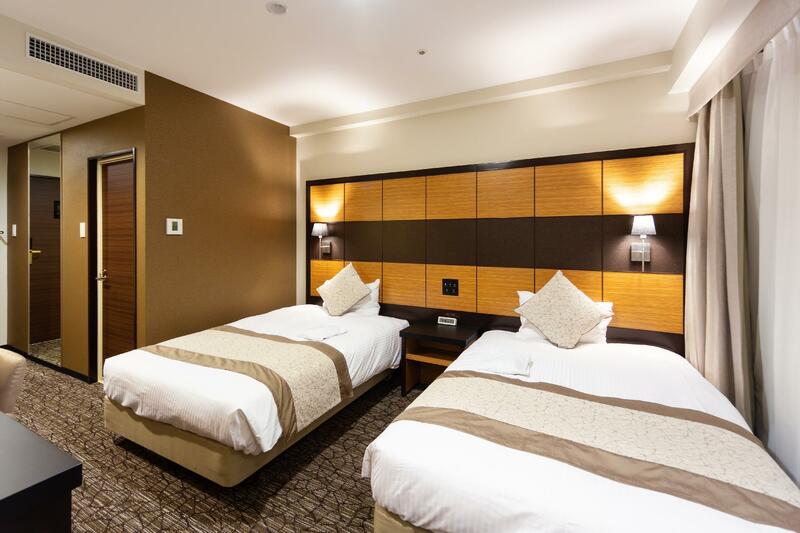 Apapun alasan Anda mengunjungi Tokyo, Hotel Wing International Premium Tokyo-Yotsuya adalah tempat yang sempurna untuk liburan yang menyenangkan. Lokasi dekat dengan MRT..tidak jauh dari hotel juga ada fire museum.anak2 senang sekali bs melihat2 di fire museum. Pelayanan juga bagus. Highly recommended for travelers looking for good restaurant nearby. There are convenience stores around, fast food, up scale restaurants nearby and mid-range restaurants around. Most of the breakfast dishes are based on western menu which is a bit boring. I am expecting japanese food. Location near Yotsuya-sanchome Station, there is a Burger King and convenience store next to the hotel. Couldn't get a good night sleep as bed is very hard and pillow is very thin, my neck hurt for the few days we stayed there. For those who will be carrying big luggages or baby stollers, be sure to take the Marunauchi line 2 (Ikebukuro direction) in order to take the elevator that exit near the hotel, Marunauchi line 1 (Ogikubo direction) elevator exit is much further and is across the street from the hotel. Although bottle of mineral water provided only for the first day of stay, there is a drink machine located at main lobby for free! Very generous with different of choices, coffee, latte, macha, chocolates, hot water......just enjoy it! 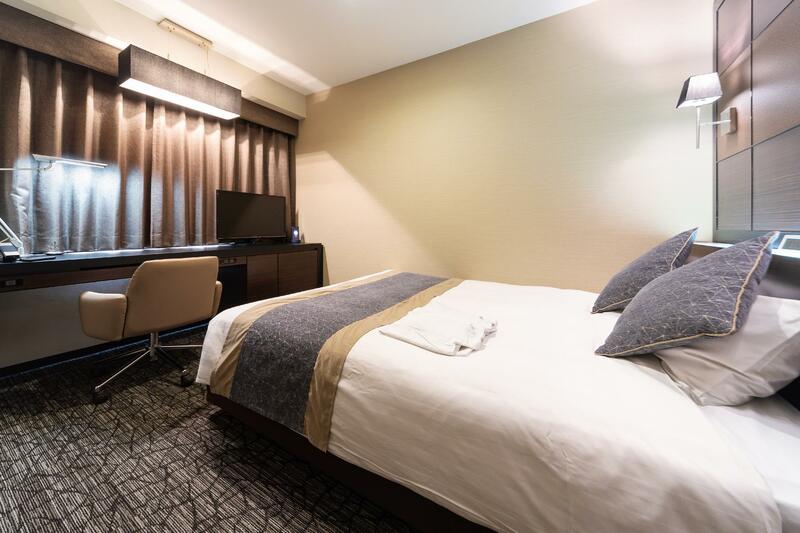 Hotel is very near to yotsuya sanchome station, walking distance 2 minutes with food options (ramen, burger king, korean restaurant) and convenience store (7-11 & Family mart). Fire station museum is also within 5 mins walk, free entry. The hotel lobby provided free coffee machine and it's not bad. Staff quite helpful, help us arrange to send our baggage to our next hotel stay. Basement got laundromat. 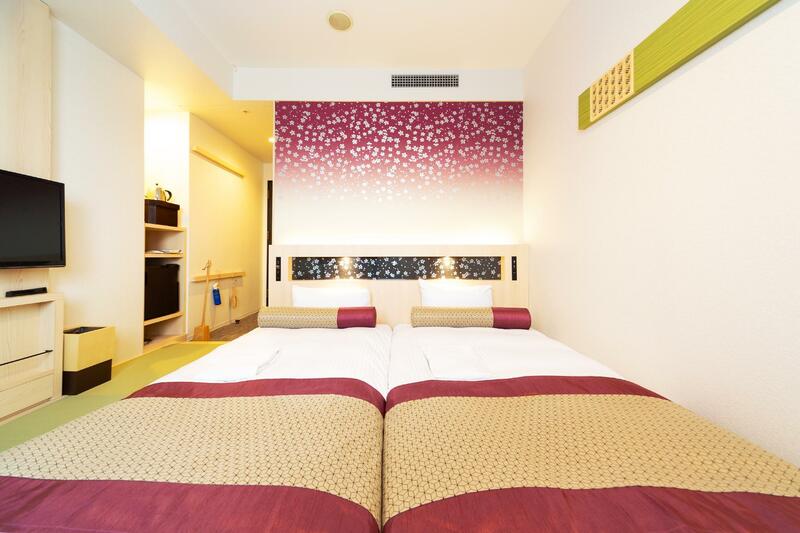 We got a great deal for this hotel on Agoda. It was perfect for 2 nights in Shinjuku. Our family of 5 (kids aged 11, 9 and 6) were able to fit into one room. Three mattresses on the floor. It was Japanese style. The hotel provided a free coffee/tea/ cocoa machine which we loved getting upon return to lobby after walking around in the cold night air. Some great restaurants in walking distance. Our family also thoroughly enjoyed the Free Fire Museum a minutes walk away. My only gripe is that on their website they state being a 6min walk from Shinjuku station, but it was a half hour walk. There is a subway stop about 2 mins from the hotel though, it just want the one listed on the website. Overall we enjoyed our stay. 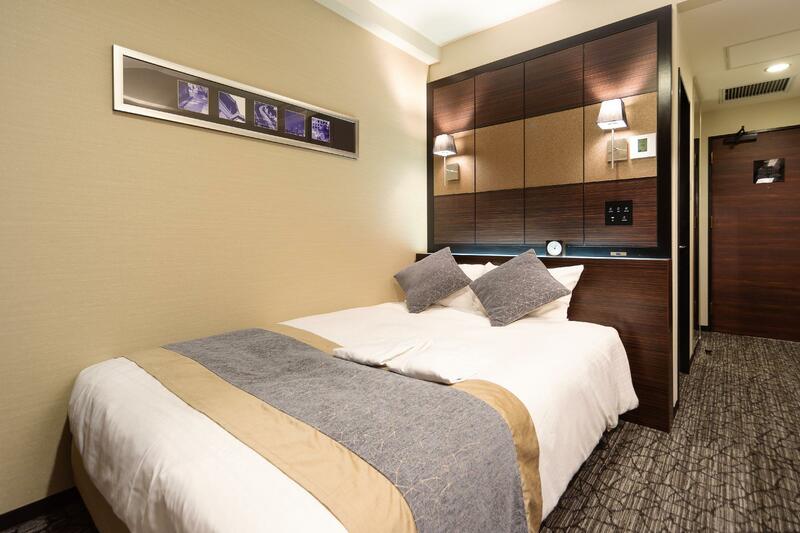 Hotel is located very close to the metro station! It has great breakfast; even though, it is the same everyday! Staff was helpful! It provides free cell phone for local and international usages for FREE! I will definitely stay here again! Highly recommend this hotel, fantastic location and great rooms. The staff are all very friendly and welcoming, just be mindful that their English is not as good as some other hotels so communication can be difficult at times (but they do their best). Walking distance (3-5 minutes) from subway station placed Tokyo at our doorstep. Pack light, no problem given several laundering options available - I used the super convenient coin operated washer dryer located in the parking level. Free coffee, chocolate, latte (etc) in the lobby via dispenser. Several restaurants and bars walking distance. Good breakfast buffet with many choices. I needed a non smoking room with two single beds that met my budget without sacrificing square footage....our room was fantastic. I would stay here again for sure. Got a room upgrade to a twin plus early check-in and late check out w/o membership. Close to Tokyo Metro and JR trains. Lots of small interesting restaurants in the area. 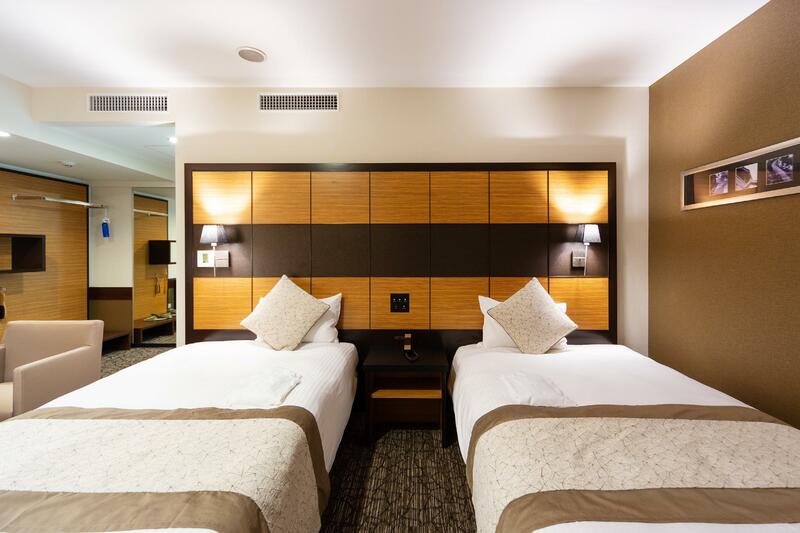 Pros: - each room gets a free smart phone “Handy phone” to use during length of stay. It provides unlimited data usage (no teathering though), unlimited international calls to certain countries, unlimited local calls, interactive travel guide - our bed was quite big (queen size!) and comfortable for two people. We slept really well - mattress was fairly firm. 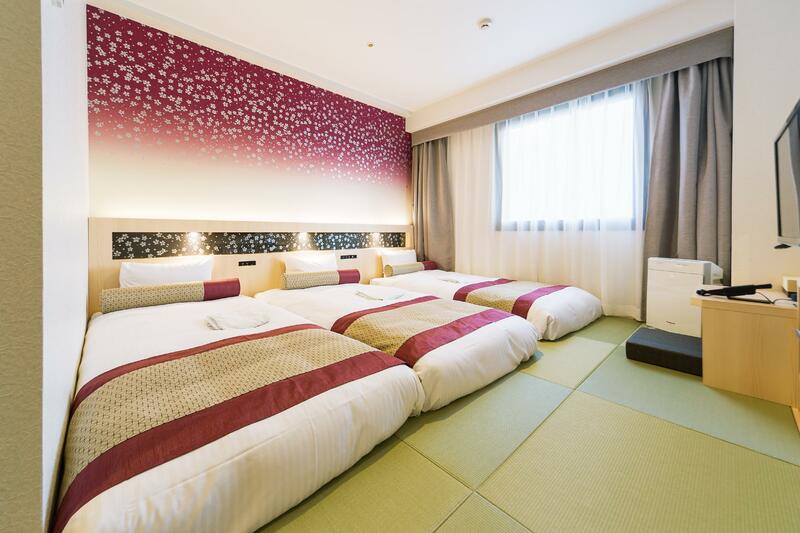 - very clean and fairly spacious room - friendly and polite staff - variety of good Japanese shampoos, conditioners, face wash/ lotions to choose from ( diff brands available in lobby) - free coffee and tea machines at lobby - high quality toilet with the good brand “Toto” for the waterjet Cons: - although it’s only 3 min walk to Yotsuya-Sanchome station.. it’s in pretty boring neighborhood... Takes 22 min walk or 10 min train to shinjuku and 30 min train to Shibuya with one transfer. Not the most convenient. - staff spoke little English - have to leave key at front desk everytime you leave the room. I had a wonderful stay here with my mom on a recent shopping spree in Tokyo. The location is wonderful if you aim to shop, thanks it's on the same metro line with only a few stops away from Ginza and Shinjuku. The room is clean and amenities are great. My mom enjoyed the breakfast a lot since the food really catered to her liking. The staff are friendly and helpful. I would definitely recommend it. + Near the train station (2-3 min away) + Near convenience store, fast food, restaurants and grocery + Free coffee and hot chocolate + Friendly and accommodating + Clean Hotel + Free wifi - Breakfast menu can be updated (had the same food options during our stay) Over-all, great experience!